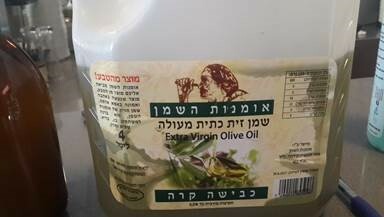 The Ministry of Health runs random checks on olive oil in the marketplace, to assure compliance with health and labeling standards. 5. 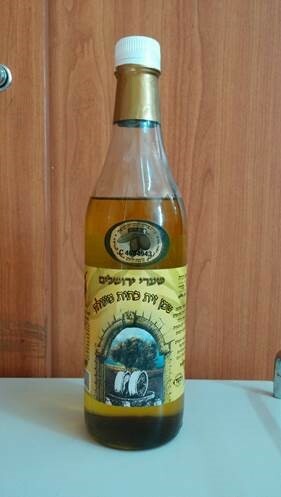 An unmarked bottle of oil being sold at "Roshdi, Druze Food" at Sarona Market in Tel Aviv. 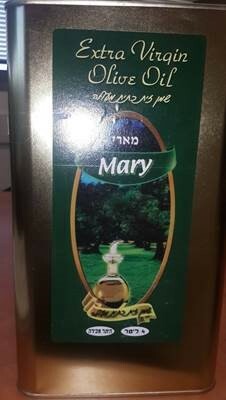 It was represented as Extra Virgin Olive Oil.